Investors looking to buy Venezuela’s new cryptocurrency may want to head to a little-known Moscow bank whose biggest shareholders are President Nicolas Maduro’s socialist government and two state-controlled Russian companies under U.S. sanctions. Evrofinance Mosnarbank has emerged as the only international financial institution so far willing to defy a U.S. campaign to derail the world’s first state-backed digital currency, called the petro, even before it begins to function. Early would-be investors who registered with Venezuela’s government and downloaded the petro’s wallet software — available in Spanish, English and Russian — were then invited to buy the cryptocurrency by wiring a minimum of 1,000 euros to a Venezuelan government account at Evrofinance. The bank’s place in the rollout of the petro is further evidence of Russia’s role in the creation of a cryptocurrency that much of the digital world has shunned, but that Maduro hopes will allow Venezuela to circumvent U.S. financial sanctions imposed last year. At the petro’s launch on Feb. 21, Maduro heaped praise on two Russians in the audience who worked with wealthy, Kremlin-connected businessmen, thanking their previously unknown startups — Zeus Exchange and Aerotrading — for their role developing what he joked would be a kind of “kryptonite” against U.S. economic dominance. A day later, he dispatched his economy minister to Moscow to brief his Russian finance counterpart. Russia’s interest in the petro stems from its own increasingly pariah status in the west, said Claiborne W. Porter, the former head of the U.S. Justice Department’s bank integrity unit. As relations with the U.S. and European Union become tenser, both countries are looking for ways to demonstrate political strength while moving money outside the American financial system. “Like kids on the playground, Venezuela and Russia think they are fighting a common bully in U.S. sanctions, so they’re going to try and form a united front,” said Porter, who is now the Washington-based head of investigations at consulting firm Navigant. Russia has provided Venezuela with billions in debt relief over the years, and is a major investor in the country’s oil industry. That financial lifeline has become more important, since the Trump administration last year banned Americans from lending money to the nearly bankrupt government, and now threatens to slap sanctions on the OPEC nation’s oil industry if Maduro goes ahead with presidential elections this month that are widely seen as a sham. In March, Trump signed an executive order banning Americans from any dealings with the petro. Evrofinance and its executives didn’t return repeated email requests for comment. But after The Associated Press’ inquiries, all references to the bank were removed from the petro’s wallet, leaving prospective buyers with no guidance on how to actually buy it, though it’s still listed for sale in rubles and euros as well as three other widely circulated cryptocurrencies. Venezuela’s government purchased a 49 percent stake in Evrofinance in 2011, making the bank, which traces its history back a century as a western financial outpost for the Soviet Union, a vehicle for binational trade and investment projects, with almost $800 million in assets. The rest of the shares are held by two major banks, state-controlled VTB and Gazprombank, which were sanctioned by the U.S. and European nations in 2014 over President Vladimir Putin’s annexation of Crimea. It’s unclear how many petros the government has sold. 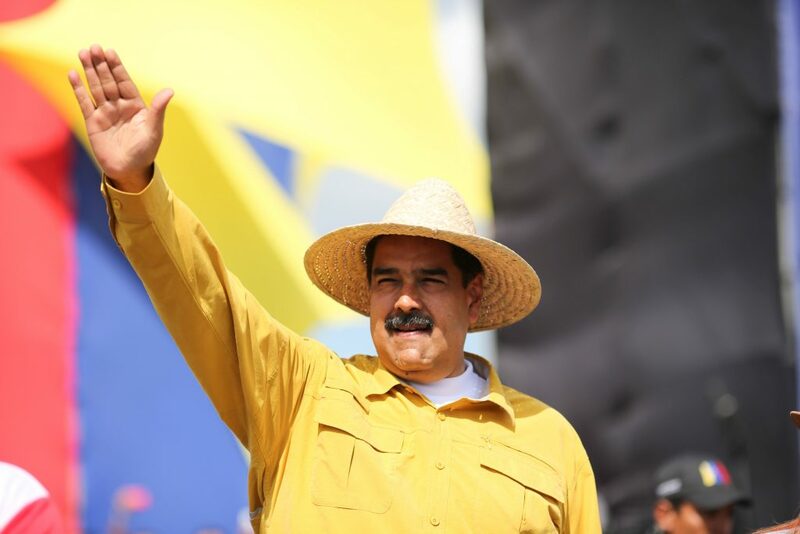 Maduro boasted this month that the government had raised $3.3 billion in the pre-sale phase. But so far only a small fraction of the petros appears to have been distributed to buyers, according to the blockchain where the digital currency’s movements can be publicly tracked. One of the two Russians who signed agreements with Maduro to position the petro globally, Denis Druzhkov, had been fined $31,000 and barred for three years by the Chicago Mercantile Exchange for fraudulent trading in futures’ contracts. Zeus Exchange, which Druzhkov created alongside a Kremlin-connected industrialist, said in a statement that it has never had any business ties with the Venezuelan government, and that Druzhkov resigned after abusing his authority. The other, Fedor Bogorodskiy, used to help run the credit card division at a bank controlled by a Russian oligarch. He has lived in Uruguay since 2009, combining telecommunications business with part-time promotion of Russian culture. He told The AP that his company, Aerotrading, whose website consists of a single home page with no company information, immediately ceased all work on the petro after Trump announced his ban. Despite the pressure, Maduro is showing no signs of slowing down. He’s given government institutions — from ministries to airports — 120 days to start accepting the petro as legal tender in all transactions. He’s also paved the way for the creation of 16 local exchanges, where Venezuelans will be able to purchase petros with their fast-depreciating bolivars. Also in the works is a second state-backed cryptocurrency tied to the country’s gold reserves. But gaining international acceptance remains an uphill battle. Yuri Pripachkin, president of the Russian blockchain group that honored Venezuela, said that while the Kremlin is keeping a close eye on the petro, it hasn’t been involved in its development. Still, he said that as long as sanctions are used as a foreign policy tool to punish governments that challenge U.S. policies, the incentives to seek out alternative means of financing will remain. He also dismissed the idea that the petro could be used to fund criminal activity.